Novartis plans to spin off its eye care devices division, Alcon, into a separately traded standalone company, the company announced in June. 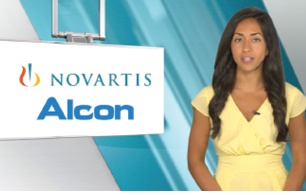 Novartis will retain the Alcon ophthalmology pharmaceutical portfolio. The planned spinoff will “enable Novartis and Alcon to focus fully on their respective growth strategies,” a news release from Novartis stated. The Swiss company decided after a strategic review that a spinoff is in the best interests of its shareholders and consistent with its overall strategy of focusing on medicines. The new international device company will retain the Alcon name and will be incorporated and based in Switzerland. Fort Worth, Texas, will “continue to be a key location for Alcon,” the press release explained. The new company will have more than 20,000 employees. Mike Ball, formerly the CEO of Alcon, became chairman-designate of Alcon on July 1, in which role he will focus on preparing the company for the proposed spinoff. If Alcon becomes a separate company, he will become chairman of the board. David Endicott, formerly the chief operating officer of Alcon, replaced Mr. Ball as CEO. The planned spinoff is expected to be completed in the first half of 2019. Completion is subject to final endorsement by the board of directors, approval by stockholders, and other conditions, the company stated. A monoclonal antibody that targets the protein CD160 has shown promise in animal models as a treatment for neovascular retinal diseases.1 The anti-CD160 agent, ELB01101 (ElsaLys Biotech), could be an alternative therapy for patients with choroidal neovascularization (CNV) who are poor responders to anti-VEGF therapy, the company suggested in a press release. In a rabbit model of corneal neovascularization, treatments with the anti-CD160 agent significantly decreased area and length of new vessels with an effect as potent as two anti-VEGF comparators, bevacizumab (Avastin, Genentech) and aflibercept (Eylea, Regeneron). In a monkey model of laser-induced CNV, intravitreal anti-CD160 injection showed clinically relevant reductions in CNV lesions compared with vehicle-treated eyes. 1. Menguy T, Briaux A, Jeunesse E, et al. Anti-CD160, alone or in combination with bevacizumab, is a potent inhibitor of ocular neovascularization in rabbit and monkey models. Invest Ophthalmol Vis Sci. 2018;59(7):2687-2698. Ophthotech has entered a global licensing agreement with two universities to develop a gene therapy product for treatment of rhodopsin-mediated autosomal dominant retinitis pigmentosa (RHO-adRP), an orphan monogenic disease. Investigators at the University of Pennsylvania and the University of Florida will collaborate with the company in designing and executing preclinical and clinical studies of the therapy, according to a press release from Ophthotech. The therapy, delivered by an adeno-associated virus vector, is designed both to knock down the expression of mutant rhodopsin and to deliver replacement functional rhodopsin to restore normal protein expression, according to the release. Based on current timelines, the company said it expects to begin a phase 1/2 clinical trial in early 2020. In patients with Leber hereditary optic neuropathy (LHON), eyes that received a single intravitreal injection of a gene therapy (GS010, GenSight Biologics) experienced a doubling in contrast sensitivity at 48 weeks, while contrast sensitivity remained stable in eyes that received sham treatment. The company announced these and other findings from the REVERSE phase 3 trial in June in a press release. In April, GenSight had announced top-line results of the REVERSE study, which showed a clinically significant improvement of +11 ETDRS letters of visual acuity in eyes treated with GS010. However, sham-treated eyes in the study experienced an unexpected gain of +10 ETDRS letters, and the study did not meet its primary endpoint. The study did meet secondary endpoints, including better preservation of retinal ganglion cell macular volume in treated eyes compared with sham-treated eyes. In addition to the contrast sensitivity findings, the company also announced the results of some post hoc analyses from the phase 3 trial. 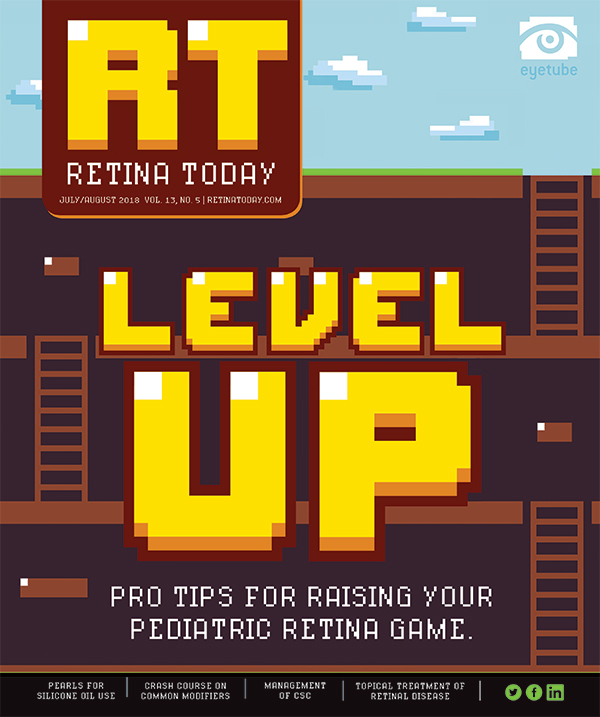 Patients who entered the trial with better visual acuity (ie, on-chart visual acuity) tended to have better results. At 48 weeks, in on-chart better-seeing eyes, GS010-treated eyes gained an average of +12 letters, compared with +4 letters in sham-treated eyes. Also, patients whose onset of vision loss was less than 9 months before treatment and those who were younger than 21 years at enrollment tended to have better outcomes. The trial included 37 patients with visual loss due to 11778-ND4 LHON that commenced between 6 and 12 months before study treatment.